While the Rirratjingu Aboriginal Corporation sponsors community education and healthy lifestyles, they also actively support the enrichment of the Yolngu cultural experience, focusing on art, dance and music. 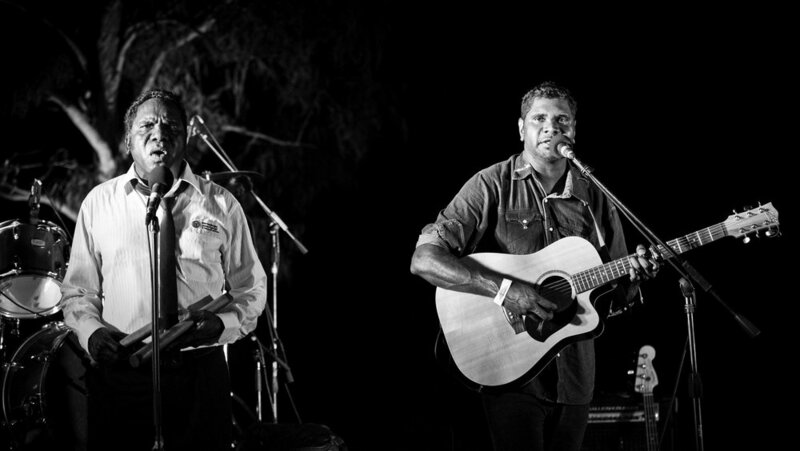 The local musicians that receive financial support from the RAC include bands East Journey and Barra Westwind as well as singer/songwriter Yirrmal who has been touring with the Indigenous all-star Black Arm Band. It was the RAC that sponsored East Journey’s first recording and video clip, a presentation that won a national filmclip award. Indigenous music is back in the spotlight, just as Yothu Yindi did so famously 25 years ago. All they needed was a little help from the Rirratjingu Aboriginal Corporation who recognised their talent and backed them. The Rirratjingu can lay claim to many nationally recognised artists and the Rirratjingu Music Program will ensure that future artists will have performing and recording opportunities for the future. The new Program will be rolled out late 2018.